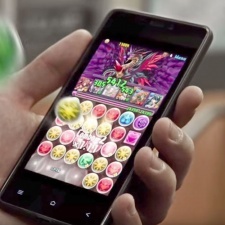 With the most of its revenue coming from Japan, GungHo Online has been on a mission to push Puzzle & Dragons, its billion-dollar match-3 RPG franchise, globally. One key market is North America, where the game already has generated 7 million downloads. But it's now looking to push that number higher with the outing of its first TV commercial. Already a major part of Japanese and Korea UA, TV advertising is rapidly becoming part of the marketing mix for the largest mobile developers in the west as it allows them to reach a wider audience than served by increasingly expensive advertising in other mobile games and channels such as Facebook, Twitter and Instagram. As for the US ad, for the record, it stars Colton Haynes, former star of the hit TV shows Arrow and Teen Wolf. You can see some more examples of TV ads for mobile games in our irregularly updated YouTube playlist.